Roy Dupuis is an actor and activist, most renowned for his portrayal of counter-terrorism operative Michael Samuelle in the Canadian television series, La Femme Nikita (1995 – 2001). To his credit, he has appeared in over 60 television, theatre and movie productions, spanning across a period of over 25 years. He has won a total of 10 awards from international bodies, including the award for Best Actor at the Tokyo International Film Festival in 2006. Apart from his work as a professional actor, Dupuis is also known as an avid sailing enthusiast, for he owns a number of sailboats which he regularly tries to custom outfit in preparation for extended ocean voyages. 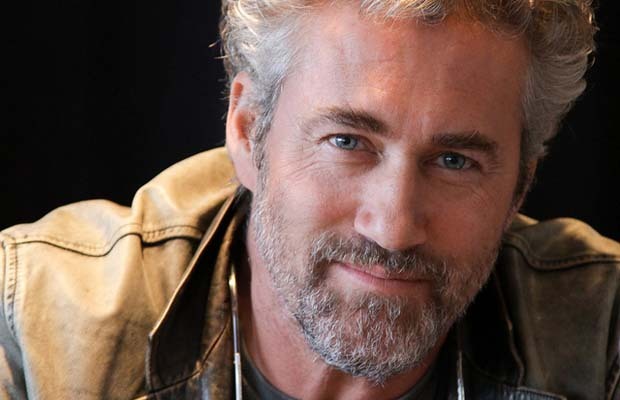 Roy Dupuis was born as Roy Michael Joseph Dupuis in the city of New Liskeard, Ontario to parents of French – Canadian descent, on April 21, 1963. He is the second of three children, having an older sister and a younger brother. As a child, Dupuis lived in Amos, Quebec till the age of eleven, after which he moved to Kapuskasing, Ontario. At the young age of fourteen Dupuis’s parents divorced and he moved with his mother and siblings to Sainte-Rose, Laval, Quebec, where he received his high school education. After graduating from high school, he proceeded to Montreal to study acting at the renowned National Theatre School of Canada. He graduated from the institution in 1986. Dupuis has enjoyed a lucrative acting career in both the television and movie industry, starring in productions like Anémique cinéma (1987), Sortie 234 (1988), Gaspard et fils (1988), Jésus de Montréal (1989), Dans la ventre du dragon (1989), Comment faire l’amour avec un nègre sans se fatiguer (1989), Le Marché du couple (1990), Being at Home with Claude (1991), Entangled (1992), C’était le 12 du 12 et Chili avait les blues (1993), Cap Tourmente (1993), Screamers (1995), Waiting for Michelangelo (1996), Bleeders (1996), L’Homme idéal (1996), Aire Libre (1996), Free Money (1997), J’en suis! (1997), Hemoglobin (1997), Séraphin: Heart of Stone (2002), L’Invitation aux images (2003), The Barbarian Invasions (2003), Looking for Alexander (2004), Manners of Dying (2004), Machine-Gun-Molly (2004), Jack Paradise (2004), C’est pas moi c’est l’autre! (2004), Maurice Richard: The Rocket (2005), Albert’s America (2005), That Beautiful Somewhere (2006), Revenir (2007), Emotional Arithmetic (2007), Shake Hands with the Devil (2007), A No-Hit No-Run Summer (2008), Public Enemy Number One (2008), Truffe (2008), Sticky Fingers (2009), Je me souviens (2009) and The Timekeeper (2009). Roy Dupuis currently lives in southeast of Montreal, in an 1840 farmhouse spread over 50 acres (200,000 m²) of land that he bought in 1996. He regularly occupies himself with its restoration and renovation. He is an avid fan of sports, most notably hockey, golf and sky-diving. His hobbies include astronomy and physics as well as playing the cello which he learned as a boy and still actively plays. He has for the past few years been known for his passion for sailing and his efforts at acquiring old boats and retrofitting them in a manner to make them once again suitable for voyages over extended periods of time. He is also well known for his activist work in organizations such as the Rivers Foundation (Fondation Rivières), of which Dupuis is co-founder and president. He has dated a number of prominent actresses such as Simone-Élise Girard (1990 – 1993), Céline Bonnier (1994 – 2008) and is currently dating actress Christine Beaulieu.